Where is this blue BIONICLE figure from? 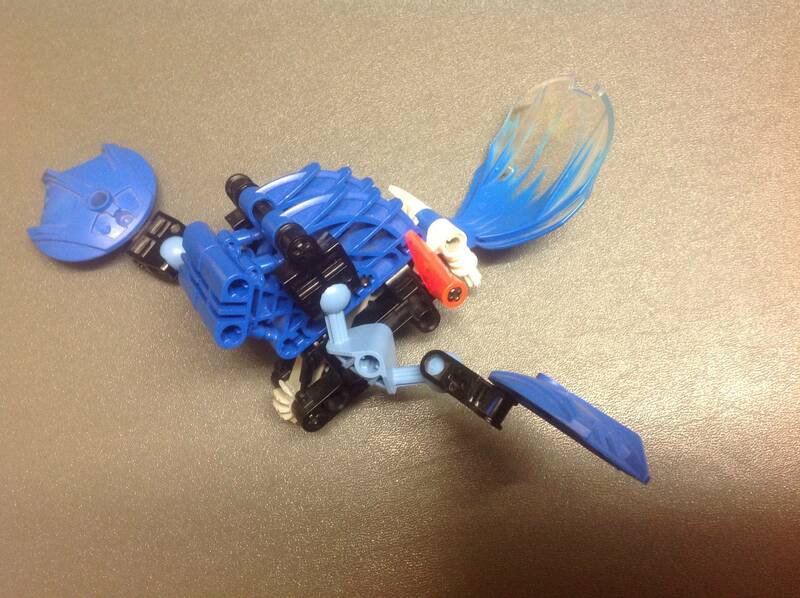 Please help me identify this blue BIONICLE figure. The set in question is 8562 Gahlok. It's missing the legs and parts of its head. Every LEGO brick has an ID printed somewhere on it. Grab the ID from any piece and then head over to http://brickset.com, then do a search (top right) and select "parts" from the dropdown list. This will show you all the sets that part is used in and you can go from there. Not the answer you're looking for? Browse other questions tagged set-identification bionicle or ask your own question. Which BIONICLE set did this mask came from? Can you identify this set that seems to be from LEGO Star Wars? Can you help me identify this LEGO set? Can anyone identify this air/spacecraft please? Which set is this bag 3 from? What dark green and lime BIONICLE do I have?